Siemens PLM Software , a leading global provider of product lifecycle management software and services introduces a new product in the Teamcenter software portfolio called Active Workspace. An intuitive, highly visual and personalised environment for instantly accessing intelligent 3D information and greatly enhancing the value of PLM systems, Active Workspace is another important step towards realising Siemens PLM Software’s High Definition PLM (HD-PLM) vision, which was established to help decision makers make better informed decisions more efficiently and with a higher level of confidence. Companies generate massive amounts of information throughout their product lifecycle processes, which is often spread across many sites and several different unconnected databases. With its potential to enhance decision making, this information needs to be found, understood and acted on, which can be difficult, time-consuming and ultimately expensive. 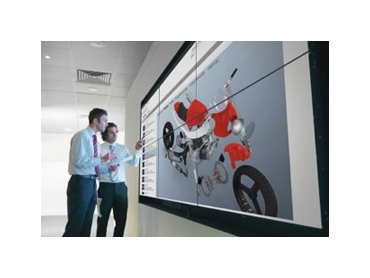 Active Workspace, working in conjunction with other Siemens PLM Software technologies, provides an efficient solution by bringing all of this information together in instantly available visual representations that enable comprehension and quality decision-making to drive innovation. According to Chuck Grindstaff, CEO, Siemens PLM Software, all companies and individuals face the challenge of dealing with information overload due to the increasing speed and volume of data coming from multiple sources. Active Workspace helps companies manage this challenge and significantly enhance decision-making by reducing complexity and intelligently presenting PLM information that is accessible for all users. Active Workspace builds on Siemens PLM Software’s HD-PLM vision to create an intuitive and personalised 3D graphic interface that significantly enhances the ability of the PLM suite to deliver knowledge instantly to the right people, at the right place and in the right context to support rapid and intelligent decision-making. As product complexity continues to increase, the PLM systems that support the design, development and manufacturing of these products continue to expand to handle more data, functions and users. Visualising information is crucial to understanding this complexity. Active Workspace provides easy-to-use tools for visualising and navigating information, easily saving or sharing with others once the right information is found. Active Workspace is highly scalable and can handle all types and sizes of PLM environments from hundreds to millions of items of information, and from a massive collection of documents to complex 3D geometry. Active Workspace helps turn this complexity into a competitive advantage by using the built-in filtering capability to provide immediate results, enabling fast, high-performance visualisation of the 3D data and combining it with relevant product information to proactively assist users in making good decisions.